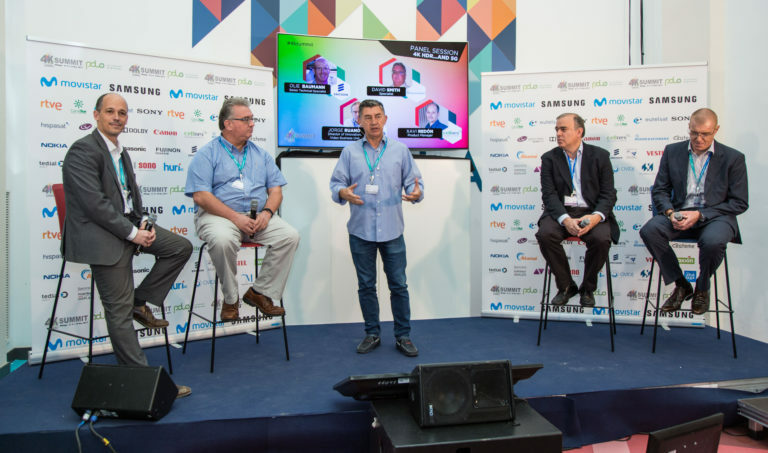 The third edition of the 4KSummit has come to an end at the Digital Content Hub of Malaga, certifying its success by announcing its fourth edition for next year, from 7th to 9th November 2018. On the last day, Hans Hoffmann, Head of the Media Fundamentals and Production Technology (UER-EBU) Unit, and Stephan Heimbecher, Director of Innovations and Technology Standards at Sky Germany, as co-chairs of the FAME Forum, were in charge of communicating the 4KSummit attendees the conclusions of the working group. The 4KSummit reserved one of its panels to present the next revolution: 5G. A technology called on to revolutionise the world of video. In addition, it was announced that the 5G Forum will be held in April 2018 at the Digital Content Hub of Malaga, where this technology will be analysed in depth. David Smith, Product Specialist of Rohde & Schwarz; Olie Buamann, Senior Technical Specialist at Ericsson; Xavi Redón, Product Manager of Cellnex, and Jorge Ruano, Director of Innovation at Nokia, pointed out that the first thing that the consumer will notice with the arrival of 5G in 2020-2022 will be the improvement of telephone services, but that this will only be the beginning of innumerable improvements that will be progressively launched. 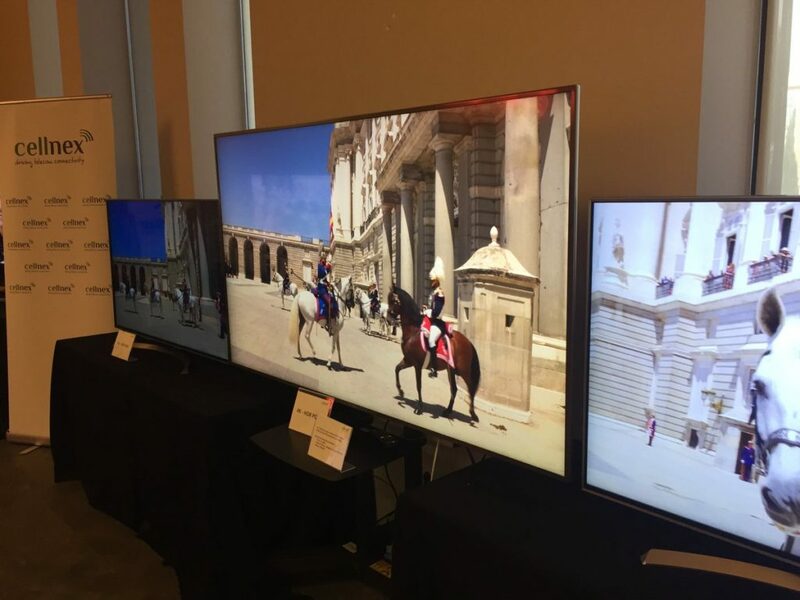 Cellnex, which has put the focus on 4K broadcasting over DTT, has carried out a live broadcasting from Mijas through the channel 26 including three services in statistical UHD multiplex with HLG, HDR10 and SDR respectively. Movistar, Ateme and Akamai starred the panel on OTT and 4K, all of them focusing all their efforts in making the user’s experience in OTT environments as positive as in linear television, or even better. 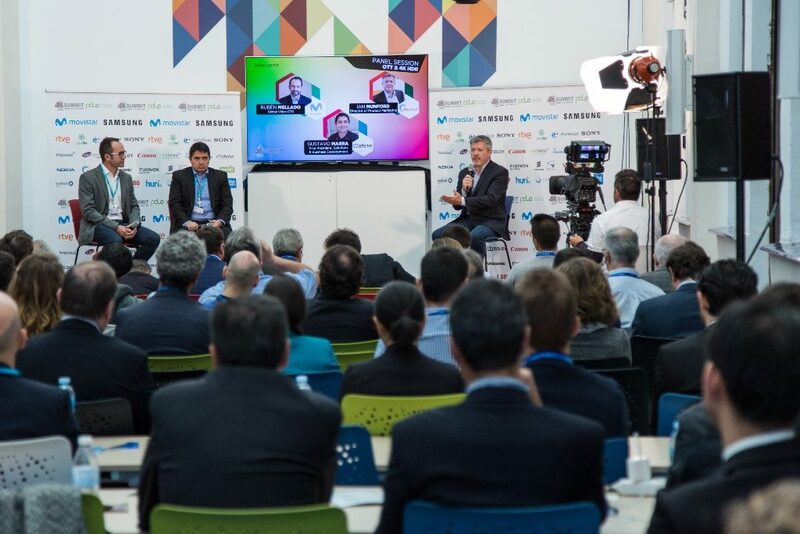 Rubén Mellado, Global Video CTO of Telefónica, referred to the lack of standards and control over the user’s devices as the key challenges for the distribution of Movistar in 4K via OTT. Ian Munford, Director of Product Marketing at Akamai, stressed the need to improve the distribution of live content and that the business model should be beneficial for all. In addition, Gustavo Marra, VP of Solutions and Development of Ateme, assured that the on demand content distribution is experiencing a strong growth in the United States. 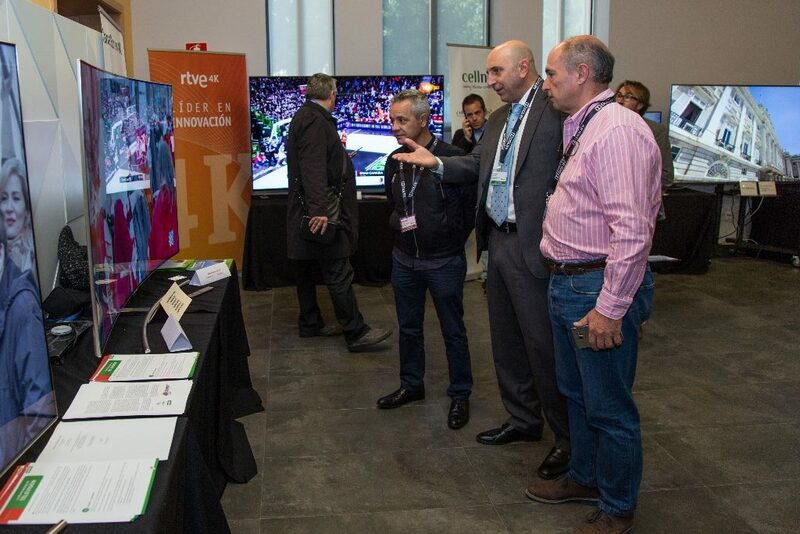 As closing of the three days dedicated to Ultra High Definition at the Digital Content Hub, IHS Markit analyst Paul Gray offered his conclusions on the event. He stated that we are facing the golden age of content creation and pointed out that cell phones are the new way of bringing UHD to consumers. Gray concluded by raising awareness about the importance of giving priority to the experience over the numbers, and emphasized the need to learn from the mistakes made in the past. 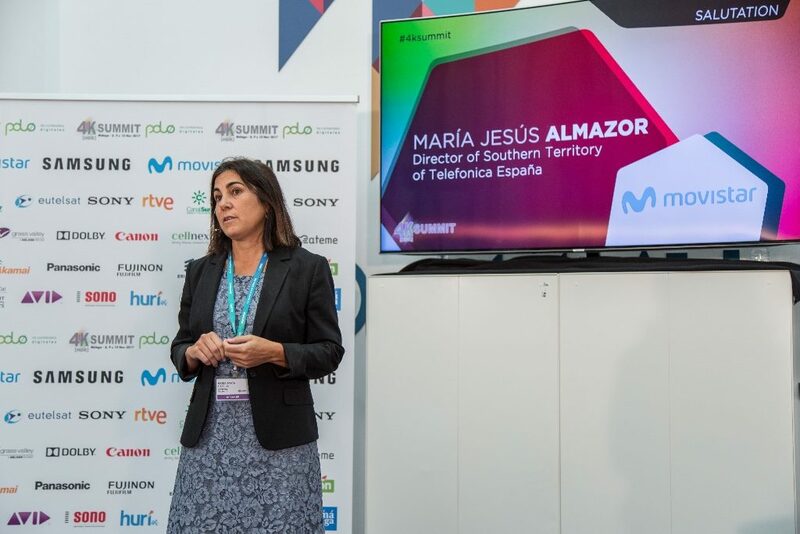 María Jesús Almazor, Southern Territory Director of Telefónica Spain, delivered the closing speech, defending that Spain is the European leader in home fibre installation and that this is a way in for Ultra High Definition content. The 4KSummit has offered an overview of the current and future state of Ultra High Definition, cameras and lenses, training, platforms, content and their application in the world of television. Throughout these three days, attendees could listen and establish connections with industry experts, audiovisual producers, professionals, managers of multinational companies, entrepreneurs, students and trainers from all the areas involved in the Ultra High Definition industry.